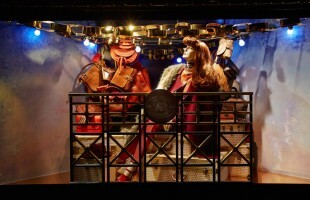 These Burberry “Christmas Balloons” Window Displays has be seen all over the world. 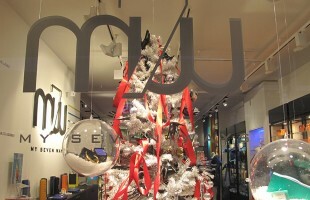 We published photos of the Burberry christmas balloons window display from Amsterdam and now Prague. 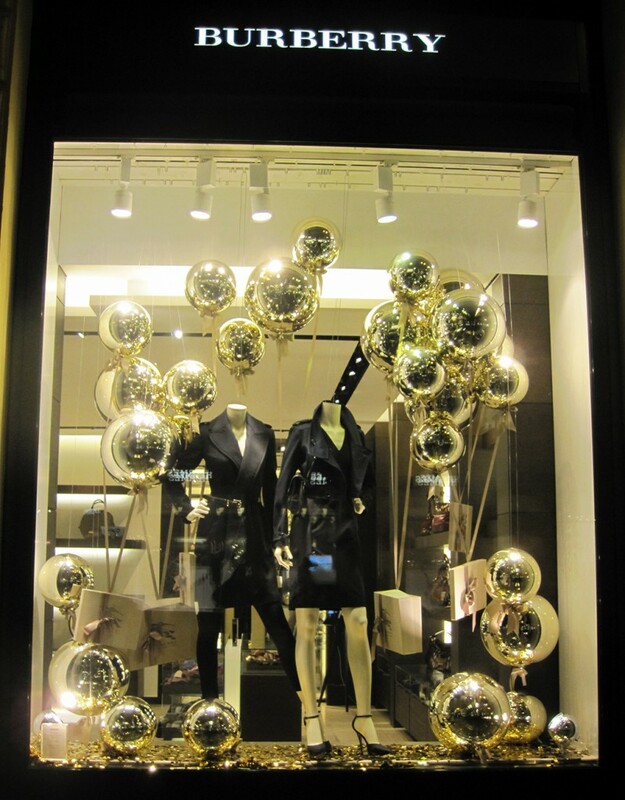 The “Christmas Balloons” are called “Golden Ball” and created by Princedecor. 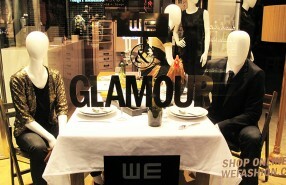 The props are also used for the Louis Vuitton circus window displays where the elephant is balancing on the golden ball.